Ariel and Merida: "We hate it! We don't like having are fans always fighting over us! please stop!" All DP's: Have there been wars about who's the most popular? Cinderella: Yes there have been, but mostly among fans. Belle: I think we are way past the idea of who is better. Ariel, Belle, Elsa, Anna, Rapunzel, Cinderella, and Tiana have you ever heard of Jack Frost? DP: We have seen his movie, but never met him, sadly to say Disney has been feuding with Dreamworks! 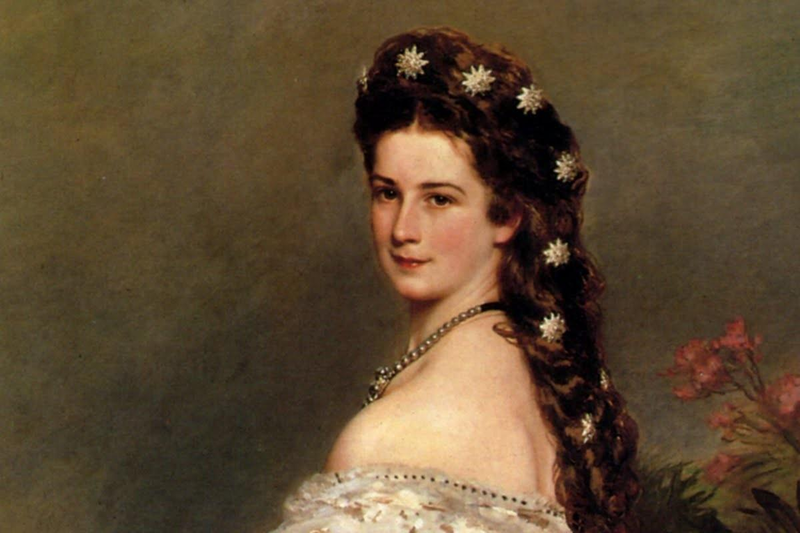 To all the Princesses: Have you heard of the 1968 movie called Mayerling? Belle: Snow, Cindy, Aurora, and I have the others have never heard of it because we were planning a girls night out and I suggested we see it but they hadn't even heard of it. I absolutely couldn't believe it! To all the Disney Princesses, which one of the princesses would each of your say you're the closest to? We're all closest to Snow White since she started it all! Maleficent, where'd you get those horns? They just grew on my head since I have so many pets I became like them. Pocahontas, are you certain that rocks have life, mountains have voices and wind has colours or were you just showing off that you are intelligent? I was certain, but I was also being a bit of a show off! Ariel, is your hair naturally that red? tiana do you like swimming? After being a frog for about 2 days, don't even get me started! Elsa, when was the last time your powers acted up? Ariel, what do you think of Jim Hawkins? Ariel: He seems very nice. It's my daughter Melody who has the crush on him. Ariel, how does it feel being the only Disney Princess to be a mother? Elsa, how well would you handle the beach? DP: Do you all have an Instagram account? Pocahontas, do you miss John Smith? Pocahontas: Yes, I really miss him so much. I thought the right thing when I left England was to go separate ways. I also thought that I loved John Rolfe but it wasn't real love. My love is for John Smith but he is traveling somewhere across the seas and I don't know where he is or if I'll ever see him again. Staying behind for my people when John had to leave was a hard thing to do, I knew it was right but I also have hope that I would see him again. Then I received news that he was dead and it took me a long time to get over him but I never did. Every time I heard someone say his name I would die a little. I tried to stay strong and I thought I was over him when I found John Rolfe but now I know that I never really got over him and I never stopped loving him. But thankfully I've had the support of Nakoma, Flit, Meeko, Percy, and all the Disney Princesses to help get me through it. I sure hope I'll see him again no matter how much it hurts. Merida, you're often compared to Ariel and vise versa. How do you two feel about each other? Ariel-"Well we are actually great friends! We can relate a lot, we are both feisty red heads! And recently all the DP's got instgrams and facebooks so we communicate all the time!" Merida- "Ya, Ari said it all ya know, we always stick up for one another! We dont like being compared to! We made a deal that we will always be friends and we will always be on each others sides." Elsa, do you want to get married? Someday, but not right now. It's just one of those things that'll happen when it's meant to. All DP's-Which version of Avatar: The Last Airbender is better? The original series, the spin-off series, or the live-action movie? All: THE ORIGINAL SERIES BY FAR!!!!!!!!!!!!!!!! The spin-off is good too but not nearly as good as the original and the live-action movie is AWFUL! We all felt sick for a month after seeing it. Merida and Elsa, even though you two aren't thinking about marriage right now what would each of you describe as your dream guy? Merida- "Someone who is tough and just understands me and someone that isnt a wimp ( cuz im all tough) and someone who is noy a control freak!" Elsa- "Someone with a sweet side, and someone who isnt afraid of me, regardless of my powers." Snow White, Cinderella, and Aurora, the Classics have been getting so much hate because people have been saying you all act alike. How do you feel you three are different? Snow White: People are just biased about us! I am different, that's all! Cinderella & Aurora: We have to agree with Snow White, because we're not like Ariel, Belle, Jasmine and the others. DP: Have all seen Captain America? "Yes we have, it was so good! We loved the action in it!" Belle, how do you feel when people call you a snob? Honestly, I don't see where they get the impression from, but it doesn't particularly bother me. So Anna, considering your sister has the power of ice, have you ever wondered if you have special powers as well? I don't like it. I try to be as nice as I can, and Gaston was being rude, but everyone is entitled to their own opinion. Rapunzel, do your parents let you paint the walls of your bedroom in the castle? Anna: When I was little, I did. But I don't. And that's OK! Rapunzel: Why would I want to mess up my beautiful bedroom walls in the castle?!? Rapunzel, Anna, and Elsa-I've been hearing rumors that y'all are cousins? Is that true? Ariel, you were the first Disney Princess and actually the first Disney heroine EVER that showed some really great girl power. You saved Epic TWICE and killed the evil minions even though you didn't defeat the villain. But even without that you still made such an impact. How did it feel that you were really standing out among the past three Disney Princesses? Were you scared at first? Did you expect to start not only a revelation of tough girls but also a new Disney era? Basically how did all of this feel? All of us Disney Princesses have girl power! I was really excited to join the lineup, and the Classics were so kind and welcoming towards me. Elsa, now that you use your powers freely, are all your dresses made of ice? I really enjoy making dresses of ice, they look amazing, but it gets a little boring to wear only them, so I wear normal dresses too. Of course! I always beat him! Girls rule! We like to practice our fighting skills. It is great for self defense. Jasmine, how do you feel being the first DP to stand up against arranged marriages? It feels amazing! I'm so proud to be someone who shows that true love is what matters and while tradition and duty do matter they don't mean anything if your not happy. I'm perfectly happy with Aladdin and he has made me a better person. I was really naive about the world out there because I didn't know how bad off the people were. Jafar was keeping it all from my father but thanks to Aladdin we have tried to help the people of Agrabah all that we can. Jasmine and Merida how do you feel about the non-Disney Princess, Odette from The Swan Princess, asking Derek after he says she's beautiful "Thank you but what else?" Merida: Luckily she ain't DISNEY!!! DP: Do you like K-Pop (Korean Pop music)? "We listen to all types of music, but Mulan, Pocahontas and Rapunzel especially love Korean Pop Music!" Jasmine,what do you want to say to the people who have called you a b****? Belle, were you first afraid of the beast? Yes! Couldn't you tell when he came into the light that I gasped? Snow, Cinderella, Aurora, Ariel, Belle, Mulan, and Rapunzel how do you feel about the way all of you are being portrayed on the ABC show Once Upon A Time? "Well honestly, the characters are not like us at all. They ma share some of our characterisitcs, but aside from that, we are nothing alike." DP, how do you feel about some of your other heroine friends not being part of the lineup? We hate that they don't get enough recognition, but I don't think they'd like being princesses anyway. Esmeralda would hate the franchise of it all, Meg would hate all the damsels in distress and Kida does not like sparkly dresses. It's good the way it is. Ariel, are any of the princesses criticizing you like some fans have recently? No, Thank God! I don't get why people hate me so much! I am who I am. Can't they accept that? Rapunzel, I heard some negativity about your portrayal in Once Upon A Time because your character is black. How do you feel about this? How did you get a black skin tone sunburn Rapunzel?! Tiana, have you cooked anything that's so spicy it upsets Elsa's powers? Tiana: She's fine, she wants to try something different and I can't blame her for that! She controlling her powers!! 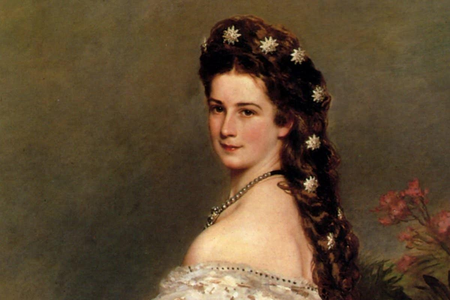 DP: Do you know who this Empress of Austria name Elisabeth (aka Sissi) is? Anna, is your hair usually a big mess when you get up in the morning? Oh yes! Always!-I mean uh, no. No, it's- it's actually perfect in the morning! Nice and neat and- alright I'm guessing this doesn't sound very realistic, but yeah, It's pretty much a bush! And the worst part is when it starts sticking to your face. Kinda why I like to keep my room a free of anyone other than me before I've woken up, they would be traumatized pretty much. Jasmine: What's your favorite subject in school? I didn't go to school with other children, my father hired a tutor instead. I love math! Cinderella, do you ever find yourself cleaning the castle just out of habit? No but I do find myself making breakfast for everyone out of habit. Ariel what did you think of the Broadway version of The Little Mermaid? I loved it! the actors and actresses were all amazing!! It really made my traumatizing story come to life in many different ways, especially with the music. Aurora, how is life with Philip? Ah, Philip is quite a dear. He is wonderful and definitely has a lovely voice. He is very sweet, and great company. Makes me laugh a lot and sometimes it's hard for me to not constantly laugh at his conversations at dinner. He is occasionally rude though, only when he is very mad. But sometimes I feel that it's hard for me to argue. For the most part life with Philip is great. Belle, what's your favorite classic book? Oh I have so many! I have to choose either Oliver Twist or The Grapes of Wrath. Snow White, do you forgive the Evil queen? Somedays I feel very angry towards my stepmother, but I keep trying to forgive her. No matter what she did to me, I feel better when I'm at peace. Tiana, are benyaies the house specialty, just like you said they would be? Rapenzel when your hair was long and blonde how bad was your bedhead? Anna how dose it feel like havering your sister back?